Our PA Live! 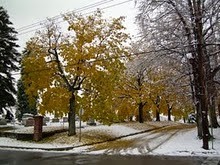 Blog of the Week this week is Circumlocution for Dummies (http://mcour.blogspot.com/). Mark Cour is this area's longest-running blogger. He's been at it for over twelve years, almost since before the word "blog" existed - so long that he's called "The Blogfather" by other local bloggers. His original blog, Wilkes-Barre Online, focused primarily on politics and things going on in and around Wilkes-Barre, and his blog posts served as the uncredited sources for many newspaper, radio, and television news stories over the years. A few years ago he decided he was tired of putting so much effort into coding his own website when young upstarts were using blogging services that made blogging easy, even for dummies. And so Circumlocution for Dummies was born, a place where he could say what he had to say without putting all the tedious effort into getting his words to appear online. "Circumlocution" means "to talk in circles," to speak in a roundabout manner that avoids getting to the point. And that's not something Mark does, ever. He doesn't mince words, and he doesn't pull punches. He says what he means and means what he says, whether he's talking about state, local, or national politics, fracking, kayaking, biking, or even his beloved New York Football Giants. He's outspoken, and odds are he's going to say something that will offend you. Deal with it. His blog isn't for the faint of heart - but neither is life. Whether you agree with what Mark has to say or not, he'll always give you something to think about. I'm in NEPA blogging about two things: promises worth making to yourself and small biz tips (twistedpinky.com and inkengage.com/blog, respectively). Do you blog about NEPA? 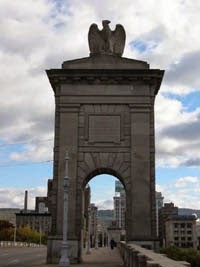 Do you live or have you ever lived in NEPA and blog about anything at all? Let us know and we'll be happy to list you! Contact us at nepablogs@gmail.com! Back in November, I told you about an upcoming event called "Pecha Kucha Night" which was to happen after the beginning of the new year. The time has come.....Pecha Kucha Night has finally arrived! Several of the NEPA Bloggers have stepped forward to present at the event, Harold and myself included. There will also be presentations by Gerard Hetman and Mandy Boyle as well as many others. If you are looking for something to do tonight, stop on by! Also, check out the articles about tonight's presentation in The Weekender and Scranton Times Tribune. This one...this one, I've totally forgotten how I got to know about it. Based on the date I first jotted down some notes about it, and the fact that it's the blog of a photographer who is based out of Stroudsburg, I suspect that it is somehow connected to The Forwardian Arts Society. The object is for me here is to post past and current photo projects, sharing my experience, and keeping people updated with where I'm at, and what I've done. If anyone is interested that is... There may be a few that I cannot slip publicly yet, but the time will come. Photography blogs are always fun. All my life I've preferred books with pictures, and I think I feel the same way about blogs! Be sure to check out A journey in imagery. It seemed to me that we added the original version of My Quill Pen to the NEPA Blogs roster ages ago, but in fact it was less than two years ago. It wasn't long after we linked the blog, about a month and a half, that it fell silent. And then it suffered the further indignity of getting its RSS feed scrambled in the sidebar, meaning that even that final post would not be displayed. A week or so ago I was scrolling through updates from friends on Facebook when I saw one that shared a blog post from a place with a familiar name: My Quill Pen. Say, doesn't whoever's blogging at that site know that that name's already taken?, I thought. I clicked through to the blog and saw a familiar photo above the blogger's name. I clicked through to the old version of My Quill Pen and saw that it was the same blogger, same name, - even the same photo! So now we present to you the new (and updating!) version of My Quill Pen! Let's hope this post doesn't serve, as seems to happen all too often, as the NEPA Blogs kiss of death! Continuing to work through our backlog of blogs to be added! This is one that was mentioned on the NEPA Bloggers Facebook group page a while ago. It's by C.J. Marsicano, who also blogs at The Groove Music Life. This blog will be devoted to one thing: album (and occasional single) reviews, irregardless of when they were released. Obviously, some new releases will get featured at our mothership blog The Groove Music Life, but for time and event-appropriate reviews and even for random reviews of older or recently issued but missed releases, this is where they’ll be posted. Our PA Live! Blog of the Week this week is Burnside Photographic (http://burnsidephotographic.com/wordpress/). Mike Burnside is a native of Northeastern Pennsylvania who has been highly active in the NEPA community for many years. He is a veteran of the local media scene as well as a member of the Cultural Council of Luzerne County. And for the past five decades he has also been a photographer, capturing images in a broad range of formats. And what images! He refers to his photography as "abstract work grounded in nature." He does extreme close-up work (see this study of water and ice), but also takes spectacular images of landscapes (like this compilation of images taken last Autumn) and even the un-natural works of man (like these heartbreaking yet beautiful images of what was once the luxurious Penn Hills resort.) He also finds the hidden treasures along the way - when a visit to a baseball museum turned out to be disappointingly unphotogenic, a nearby clock repair shop provided the most amazing opportunities for photographs. Northeastern Pennsylvania has many fine photographers, and Mike Burnside is one who has chosen to share his images though his blog, Burnside Photographic. We may not all have his skill, eye, and experience, but if you have a camera and a computer, you can start capturing your own images and sharing them with the world on a blog. And if you do, be sure to let us know, and we'll list it on NEPA Blogs! We're having a little problem with our "NEPA Bloggers Updates" list on the sidebar. We first discovered it the other day, when we couldn't add (Not So) Lost In Thought to it. You can open the list to edit, and you can add as many new blogs as you want, but when you hit "Save" the system hangs while saving. At first I thought there might be an issue with the fact that the name started with a non-alphanumeric character, but I created a new live-updating blog list on the sidebar and was able to add the blog to it without a problem. Then I thought maybe the problem had to do with the fact that there are 357 blogs on the list - maybe 357 is some magic limit. So I decided to do a little housekeeping: I created a "parking lot" of sorts for blogs that are not currently updating - these blogs lurk at the bottom of the list anyway, along with those unfortunate blogs without RSS feeds. (More on that later.) I added a handful of blogs that fell into this category, and then I attempted to delete them from the list. I selected a few for deletion, freeing up (I assumed) a few spots for blogs to be added. Then I hit "Save"...and the system hung again. So. Can't add blogs to the "NEPA Bloggers Updates" list, and can't remove them, either. Not good. But at least we can add new blogs to the "Overflow Blog List" and add non-updating blogs to the "Non-Updating Blogs" list, until we get this resolved. 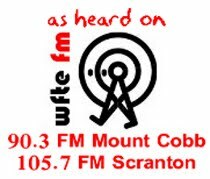 One of these blogs is Scranton Christmas Windows, which was our featured PA Live! Blog of the Week a few weeks before Christmas. For some reason, the feed is now pointing to http://scrantonchristmas.blogspot.com/feeds/posts/default, which will take you to a page full of html (or is it xml?) jibber-jabber. Unfortunately, to fix this problem I have to delete and re-add each of these blogs. And while before I looked upon this problem as tedious, for the moment it is just impossible. We've informed Blogger of this issue, and it may be a variation on a known issue regarding following and unfollowing. It could also be a template or table corruption, though Blogger's "new" format from a few years ago prevents you from seeing all of the site's html directly to get a visual sense of whether this is the case. It could also be an issue with the "New" Blogger GUI vs. the "Old" Blogger GUI, though I've tried fixing it using both. Finally, it could be a consequence of Blogger terminating support for certain antiquated blogs; perhaps we are linking to some of the unsupported blogs, and that's causing some of the problems. (I suspect this may be the issue with the feeds.) Whatever the problem, it is something that has developed since January 17, the last time we were able to successfully add a blog to the "NEPA Bloggers Updates" list. Here's a blog I came across by accident while looking for something else. It's by poet/writer Brian Fanelli, voted "Best Local Author in Lackawanna County" in the Electric City "Best Of 2011" poll. From time-to-time we receive emails with requests to add new blogs to our blog. Usually they are delivered to our inbox with no issues, but for whatever, reason, this email was re-routed to our spam folder. I don't put much trust in GMail's spam filter because I've had it catch legitimate emails on a number of occasions, so I usually review the folder before emptying it out. I'd suggest you'd do the same if by chance you have a GMail account. Good thing I did! This particular email was sent nearly 5 days ago! A friend of mine started this blog and she is from the back mountain area. Family Nutrition Made Simple by Mother of Two and Dietitian! My name is Clancy Cash Harrison. I am a mother of two wonderful children, a wife, a Registered Dietitian and a foodie. I have a passion for eating food in the whole and natural form. We try to avoid commercialized foods and buy local when possible. I look at food in two ways: food to grow and food for fun! We enjoy our local dairy’s ice cream but respect the power of kale. I firmly believe it is not necessarily about nutrition but about the behavior surrounding food. As parents, we need to learn how to enjoy and respect food so our children will too. My blog is a journey documenting how we live our life. I want to teach my children about their family culture and tradition through family recipes and food. This blog is not intended to treat or cure any medical conditions. The recipes provided are recipes I use in my home and with my children. Please consult with your pediatrician or local Dietitian to create a plan that works best for your specific needs and goals. ***You can also follow Clancy on Facebook here and Twitter here. We can all stand to eat better and many people have made this their New Year's resolution. You can learn all about how to feed your family healthier and MORE by following Healthy Baby Beans! It's no secret that I've been slacking off with adding new blogs the last few months, but I have been keeping a list of all of the new blogs that I come across to add at a later time. This is one of the blogs from that list. @NoSoLostThought on Twitter sent us a mention pointing us to her new blog. (Not So) is a young blonde female from Northeastern PA. We don't know her real name or location because she is an anonymous blogger. She mainly blogs about love and life. We are adding her to our side bar so that you can follow her adventures. Correct me if I'm wrong, but I believe this is our first blogger added from the Weebly.com website. Weebly is a platform which allows users to build websites (not just blogs) for free. It is a similar community to Tripod or Geocities back in the day. There are several website themes to pick from and it has drag and drop capabilities making it easy for novices to build an online presence. Still afraid to build a website or blog on Weebly? They have video tutorials that guide you step-by-step through the process (example). Did I mention it was free? What are you waiting for? Go try it out! Have a great Saturday, NEPA! Our PA Live! Blog of the Week this week is Uncornered Market (http://www.uncorneredmarket.com/). Daniel Noll and Audrey Scott describe themselves as "two American kids, turned mid-career professionals, turned travel junkies." Their blog details their adventures traveling around the world, but they have roots in Scranton, and return to Northeastern Pennsylvania when they can. Decades ago, kids dreaded the ritual of having the slide show projector dragged out when friends or relatives visited so they could bore us with the pictures from wherever they'd been on vacation. Now, thanks to the internet and travel blogs, we can see these travel pictures whenever we want, and read the stories, too. A blog like Uncornered Market offers us the opportunity to travel along with folks from Northeastern Pennsylvania as they see the world - all without needing to worry about passports, or hidden airline fees, or baggage restrictions. And much more interesting than Uncle Leroy's vacation slides! For answers to questions like "Where are they going? ", "Where have they been? ", "How can they afford to do this? ", and "What does 'Uncornered Market' mean, anyway? ", see their Frequently Asked Questions page! Don't Panic! Here's a blog from another new member of the NEPA Bloggers Facebook group! Summer Beretsky is from Williamsport (which we've decided is really the western limit of Northeastern Pennsylvania!) Her Twitter profile describes her as "Ex-grad student, music lover, natural enemy of winter. Writes about stress, anxiety, & panic. Lover of maps, misheard lyrics, & metaphors." If you're feeling stressed or anxious lately (and nowadays, if you're not experiencing stress or anxiety, you're not paying attention), click on through to Summer Beretsky's blog and read up on the topic! We are a fellowship for people who love the arts. This is a fantastic look at the arts scene in Stroudsburg, near the southeastern corner of Northeastern Pennsylvania. Easily accessible from Route 80, the venues Paul describes are within striking distance of much of Northeastern Pennsylvania. Have a look at what's going on, and give some thought to heading down there! I think the only thing I can do is delete and reload each of these sites on the sidebar, one at a time. This will be a time-consuming process, but unless the problem magically fixes itself (just like it magically broke itself), I don't see an alternative. Last year, Harold and I toyed with the idea of rotating the blog headers at the top of NEPA Blogs more frequently. After further discussion, we thought it would be more interactive if we opened the floor to submissions by our blog readers. We asked for your photos, and some of you had sent them in. A BIG THANK YOU to all who allowed us to use their photos! Before long, we were out of reader photos and Harold and I took turns using photos that we took as the headers...that gets old quick. 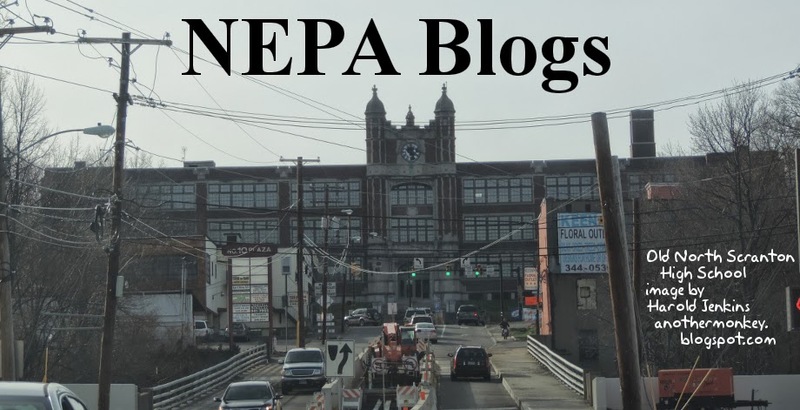 We like to see new and interesting things when we load the NEPA Blogs page. I'm putting out another call for header submissions. Feel free to submit any interesting photos that you have taken from Northeastern Pennsylvania to nepablogs[at]gmail[dot]com. You do not have to worry about resizing or adding the text, Harold has already mastered tweeking the submitted photos. Specifically, we'd like to see some winter photography...we already have a cache of photos that we can use during the spring months. We rotate the new blog headers out every Wednesday and they stay on our blog for a period of 1 week. It can be your claim to fame for the week because we will give you full credit for the submission (and point people to your blog on Twitter, Facebook and Google+) which may in turn increase traffic on your blog. You can see a gallery of our past headers by clicking here. We have recently received submissions from James Roberts (@PRguyMU on Twitter), Brent Pennington Photography and the master of Ada Mae Compton. We will be rotating these in the upcoming weeks. We'd love to see YOUR photos though. Don't be shy, email them along! I’m an archivist, librarian and history instructor at a local college, a wife of one, a mom of five and a grandmother of two. I’m crazy smart and a little bit ditzy with a smidge of snark. I pride myself on being incredibly organized in a fly~by~the~seat~of~my~pants kind of way. And it's a twofer! 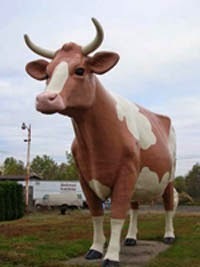 Here's her blog from her previous life here in NEPA! Random musings on my life as Queen of the Histolibrarianivists. Were you originally from NEPA (or did you just spend a chunk of your life here) and now you live somewhere else? If you have a blog, we'd love to know about it. Drop us a line at nepablogs@gmail.com! Do you have a blog card? When I was a kid reading Sherlock Holmes stories, I was always fascinated by the use of calling cards. Someone would show up at 221B Baker Street, ring the bell, and hand Mrs. Hudson a card. She would send it up to Mr. Holmes so he could decide whether or not he wanted to talk to the person at his door, and at the same time ascertain from the card what part of the country they were from, what they had for breakfast, and their shoe size. Decades later I became all-too-familiar with the intricacies of business cards, and the international customs involved in the exchange of business cards. (In this culture you present with two fingers, only after being offered a card; in this culture you use both hands to present the card, accompanied by a bow. Here's a video that looks at some of the subtleties of business card culture.) When I became a blogger I got to thinking: why not create a business/calling card for my blog, Another Monkey? It wouldn't have to be anything fancy - just a card with the name of my blog, the address, maybe a memorable picture. I already had the picture, and the card stock, so it didn't take much effort to create a card using a basic graphics package that I had picked up years earlier. So on one card we have the blog name, the shortcut address, the full address, the email address, and the names for use on Facebook, Google+, and Twitter. It's a crowded card, but it works. I carry a supply of both cards with me at all times now. Anywhere I go that seems appropriate I will tack up or leave one or both, or simply hand them out. 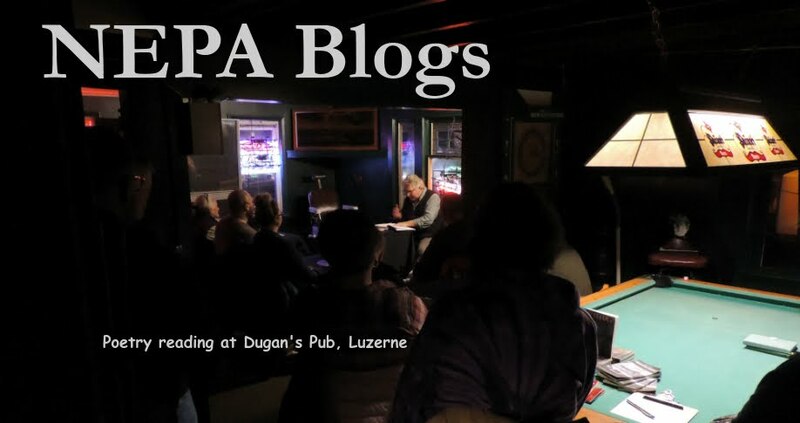 I pass out the NEPA Blogs card to other guests at PA Live! who have blogs or are interested in starting blogs. So what about you? If you're a blogger, do you have a blog card? The perforated business card stock is easily available at any office supply store, or even the computer paper sections of some retailers. Avery.com provides a broad range of free templates (including a blank one, which I prefer) to design your card. 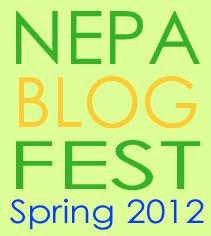 If you're going to the Spring 2012 NEPA Blog Fest on March 20, you should consider putting together a blog card to hand out. NEPA Blogs will also have a card exchange table where you can leave your card and pick up the blog cards of other bloggers. Blog cards are a great way to express your creativity and advertise your blog at the same time! Here's a blog submitted to us via e-mail, at the suggestion of another NEPA Blogger! Big Man Theory is a blog about my battle with morbid obesity. Much like me, my posts will be geeky, vulgur, and (hopefully) funny. I hope you enjoy the site! In its first day of existence, this blog garnered over 800 hits - and was ranked #1 among the Wordpress blogs that had gained the most popularity recently. Congratulations! I'm a New England native living in lovely Scranton, PA. I have two mischievous toddlers (a girl and a boy, 4 months apart). I'm obsessed with crafting, art and my dogs. ...and especially of late with her sweet little adopted toddlers! Check out all the adorableness at Crafternoon Tea! Our PA Live! Blog of the Week this week is Framing Faith ( http://framingfaith.blogspot.com/ ). Population shifts and financial troubles have made parish consolidation a fact of life for many of the Catholic churches in the Diocese of Scranton. Parish consolidation has left churches that have been parts of the landscape of Northeastern Pennsylvania for a century or more empty, shuttered, dismantled - and in some cases, demolished. Framing Faith is a blog that spotlights ten parish churches that were closed due to consolidation, and the communities that made up those parishes. It features excerpts and photos from the book of the same name. The images are stunning, and the stories heartbreaking; each parish was a creation of the community, a labor of love often by people of a particular ethnic group that reflected their particular customs and traditions. As the years have passed those ethnic identities have gradually eroded, and the closure of each parish and its associated church has slammed the door on some of those identities forever. Framing Faith provides one last look at these churches, and preserves the stories of the people who worshiped there. Framing Faith was a project of the Lackawanna Historical Society. The text was written by Sarah Piccini and is accompanied by photos by Ivana Pavelka and four student photographers. The blog serves two functions: It is a promotional tie-in to the book of the same name, but it also serves as a stand-alone showcase of the images and stories that preserve the history of these now-closed churches. Northeastern Pennsylvania is changing around us, whether we like it or not. While we may not be able to stop this change, all of us have the ability to preserve the old world before it passes by capturing it in words and images. If you can tell a story or take a photograph, you can play a part in preserving the heritage of this area. Why not preserve these words and images on a blog? It's easy, it's fun, and it's free. Just stop by a site like blogspot.com or wordpress.com and get started! There has been some chatter recently between our political bloggers and co-contributor Gort42 about setting a date for our next BlogFest. Normally, BlogFest has a very political overtone - but it doesn't always have to be that way. We would like it to be a social event where all of our bloggers from Northeastern Pennsylvania feel welcome to attend (...and network with politicians, if they so choose). DB Echo has an extended post coming up about that in the near future. If you are interested in attending our next BlogFest in the spring, please "Save the Date" by adding these details to your favorite calendar application or the one that is hanging on your refrigerator. Location: Rooney's Irish Pub; 67 South Main Street; Pittston, PA 18640. A menu can be found here. I visited Invincible Inc. this morning and was surprised to find a lovely place full of craft ideas, recipes, and decorating tips. I am always super envious of those who are talented at crafty things, as I seem to have been born without that gene. I think the "About Page" says it best - "I like to make awesome things and share them with my friends and family. I love bright colors, glitter, parties and cookies – hopefully you do too!" I hope that you'll give Ginny's blog a whirl and try out some of her yummy recipes as well! 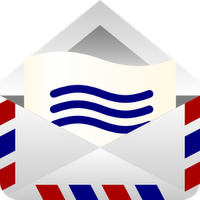 A few weeks ago an blog was submitted to nepablogs@gmail.com that raised a few eyebrows - including the eyebrows of the anti-spam filters on my email system, which flagged it as suspicious. Hello my name is Nathalie Sousa and I am the Editor of Casa de Lola – House of Cool, a portal for the creative community and home to all art lovers. The blog is a space dedicated to anything that is creative and thoughtful, a.k.a. cool. Through the eyes and words of our collaborators, you will find weekly inspiration from film and music to lifestyle and travel combined with straightforward, entertaining journalism. 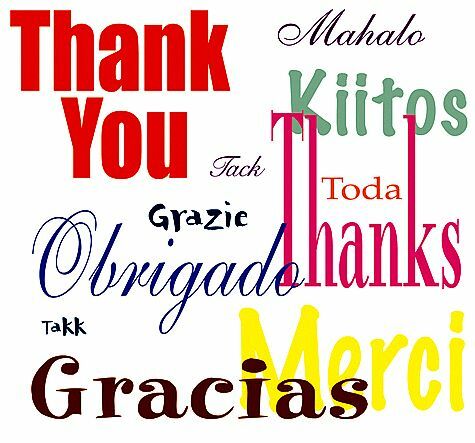 Please check us out at www.casadelola.com and lets collaborate with each other. Every once in a while we will receive a submission of a legitimate blogsite that has nothing to do with Northeastern Pennsylvania. It isn't written by someone who lives in Northeastern Pennsylvania, or used to live in Northeastern Pennsylvania, or isn't written about Northeastern Pennsylvania. You only have to meet one of those three criteria, though we have made exceptions in the past. But this blog didn't seem to meet any of the criteria: it appeared to be based outside of the area, maybe outside of the country, and the phone number attached to the email had an out-of-state area code. It all looked pretty fishy, so I set the matter aside for later. ...and sort-of never got around to following-up on it. Fortunately Nathalie did follow-up on the matter earlier this week. This time she explained that she has recently moved into NEPA and is trying to establish a local readership for her blog. The international connections are legitimate, as is the out-of-state cell phone number. So what we have here is a blog that is both national and international in scope, being written by a recent arrival to our area. A group of creative minds with distinct backgrounds and native languages sharing the same curious approach to the new and exciting things that life across the globe has to offer. We come together under the House of Cool domain to share our findings. To see a cool, international blog based (in part) right here in Northeastern Pennsylvania, check out Casa de Lola - House of Cool (http://www.casadelola.com/). Thanks to all who have voted for us in the 2012 "Greatest Around the Poconos" competition. The voting ended on Saturday 12/31/11. We should find out on Sunday 1/15/12 if we won. Keep your fingers crossed!! No matter what happens, we thank our loyal blog readers for having this honor of being nominated for an award bestowed upon us. ~Michelle, Harold "DB Echo" & "Gort42"
Happy 2012 NEPA! It's been a while since I've last posted here, but I come (as usual) bearing gifts ... in the form of 4...count 'em 4 Wordpress Blogs. 3 of the blogs were found on Twitter, the other blog was a mailbag submission from last evening. From the About Page: I am a writer, communicator and photographer and I am originally from Southampton in the UK, home of the mighty Saints. I’ve lived much of my life in Chepstow, South Wales with my friends but I have lived in Glasgow, Cork and Windsor. Now me and my wife Lola are Pennsylvania bound and this blog is a record of that adventure. "Tales With a Touch of Class"
From the About Page: Allow me to introduce myself, my name is Kristen and I just graduated from the one and only Pennsylvania State University! WE ARE! A former cross-country runner, there is rarely a day you will not find me putting in the miles. I’m a shopping fanatic girly girl mixed with a love of sports and working out. Public Relations and Business major who loves to blog, tweet, and use all aspects of social media. On the cusp of entering the world of young professionals, I find myself excited to see what life has in store for me. With a passion to write I love to share stories as well as hear the personal ones of others! From the About Page: It’s 2012 and a time for new beginnings. A little more than two years ago, I was diagnosed with Type II diabetes. I was 30 years old, and the news was devastating. It wasn’t unexpected. I was more than 100 pounds overweight, got winded climbing more than two flights of stairs and regularly unhinged my jaw to inhale entire candy stores (not really, but it felt like it). Surprisingly, the diagnosis has done little to change my eating habits. Oh, for a few months I counted carbs and went to the gym. And then I got angry because I couldn’t eat what I wanted to eat and I stopped. Yeah … that will show the diabetes! Ignoring the problem (and dodging my doctor) didn’t make the diabetes go away. And I’m tired of feeling out of control. So here’s to 2012, and chances to make a fresh start. Instead of some big, fat resolution that will be impossible to keep, I’m going to set two goals per month — all of them focused on developing those healthy habits that I’ll need to make major changes in my life. **Editor's Note: This is a blog of a person that I follow on Twitter...I do know her identity, but since she seems to be keeping things anonymous, I will not reveal the identity on Twitter in order to respect her privacy. This was a mailbag submission. Hello, My name is Kari Bestrycki and I was born and raised in Scranton, PA! I created and currently maintain a blog (http://bloglikeitshot.com/) and would love to be listed on your site. I created this blog for a class and found I really enjoyed the art of blogging. Fun fact about my blog, I wrote a post about Jenna Jameson's book and tweeted her the link not expecting to hear anything back. A few hours later, she retweeted me and replied to my tweet! I hope you enjoy my new offerings to you, blogosphere. All of these new bloggers have been added to the side bar. I'll be back shortly with promises of more posts! Have a great remainder of your week! Our PA Live! Blog of the Week this week is Dominick at WBRE (http://dominickatwbre.wordpress.com/ ). Dominick is a sophomore Communications major at Wilkes University. He served as the PA Live! intern at WBRE during the Fall semester of 2011. Among his other duties, he was in charge of escorting guests onto and off of the PA Live! set, making sure we didn't wander off and get lost or walk right through a live shot. He also made sure we were comfortable and would take care of anything we needed. But he did so much more - and it's all detailed in his blog! Dominick's blog recounts both his duties and his adventures while at WBRE. It also gives a behind-the-scenes look at PA Live! : all the fun and all the work, and even sometimes all the danger! You can read about his experience with a turkey fryer (including the surprise discovery that it had an automatic shut-off that kicked in just before airtime! ), see Dave and Monica in their Halloween costumes (beach wear! ), and read about the cobra incident! Dominick was a great person to work with on the show. I'm glad he created a record of his time there in his blog! How about you? Have you done something memorable that you'd like the world to know about, or that you'd like to write down for future reference while the memories are still fresh? Would you like a record of an important experience that you'd like to be able to share with others in the future? Why not start a blog and write about your adventures!